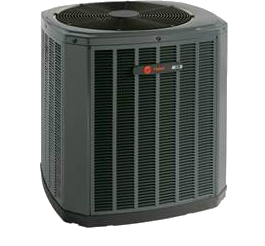 Trane's variable speed compressor operates in conjunction with the outdoor fan & indoor blower to vary operating speed & size as the temperature outside changes, slowing down or speeding up gradually in as little as 1/10 of 1% increments to keep comfort within ½ degree of your thermostat setting. 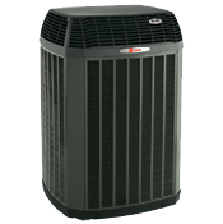 TruComfort is a Trane exclusive that gives you precise comfort by running at the exact speed needed to keep your home comfortable. The XV20i's variable speed compressor, outdoor fan & indoor blower all vary speed & the system's capacity based on what the temperature is outside. 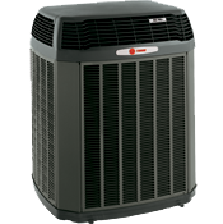 Trane's Comfortlink communicating technology connects all key components so the system automatically configures & calibrates for optimal performance & efficiency. 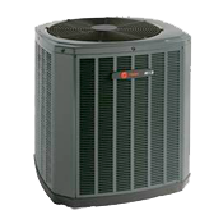 Trane offers a growing line of communicating thermostats. 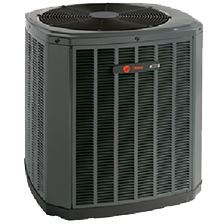 Trane's Weatherguard top is their signature look. This durable polycarbonate top is not only attractive but offers lasting protection to the outdoor unit.